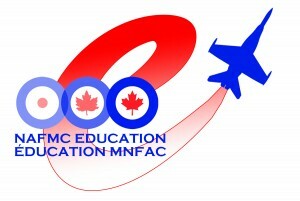 In early 2011 the National Air Force Museum of Canada proudly announced the launch of its newest endeavour; creating Ontario Curriculum based Education Programs to support classroom learning by taking students and their teachers out of the classroom. The objective was and still is to provide interactive learning opportunities that will meet or exceed the expectations outlined in the Ontario Ministry of Education guidelines. While our immediate focus was on Grade 6 Science – Understanding Structures and Mechanism Flight – and Grades 9/10 History, the Museum has since broadened its program range to offer programs for all grades. The Museum is continuously striving to create new programs and improve existing ones. We fully understand that every visiting class has its own unique requirements and teachers are always welcome to discuss their individual needs with us. We are more than happy to work with teachers to create a program specifically for their class situation. To accommodate the classroom activities as best as we can, we offer all of our programs year round, even on weekdays when the Museum is closed to the general public. The NAFMC volunteers, who facilitate the majority of our program sections, are a fountain of knowledge and a tremendous resource for information on both the history of the RCAF and its aircraft as well as on the details of the Museum’s collection. They are ready to share their world with your students whenever you are ready to bring them to the Museum. Gina Heinbockel-Bolik, our Education Programmer, welcomes students and teachers of all grades. She has researched, experimented and developed a variety of interactive activities that will assist teachers in educating students through this unique, exciting and fun learning opportunity. For more information or to book your school group, contact Gina at: education@airforcemuseum.ca or (613) 965-3874. The Museum is located at 220 RCAF Rd. at 8 Wing/CFB Trenton.